I’ve written before about my asthma. I have been prone to get bronchitis and bad asthma twice every year... and every year the drill doesn't change. Go to the doctor for my albuteral inhaler and/or steroid inhaler, antibiotics, steroid pills, shots, etc. This year was the worst. I was coughing so hard that I was throwing up every night and not sleeping. 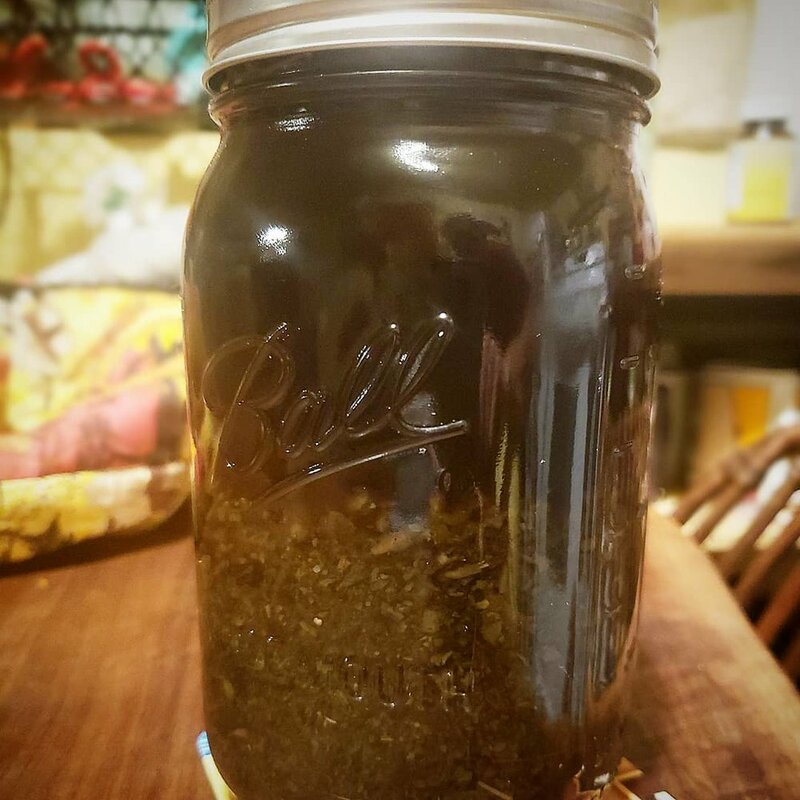 An herbalist I met last year put together a mullein herbal loose leaf tea batch which I drank sometimes, and then later my student's mom suggested I try a mullein pill a day, because it's helped her mother. And then, one of the acupuncturists at my regular go to spot, Tiny Needles, suggested I try a mullein herbal infusion and just google Susun Weed + Mullein. I thought to myself, damn I really need to try this. I kept saying I was gonna make it happen but I didnt, until a few weeks ago when my health insurance expired. And guess who couldn't get her steroid in inhaler because she didn't have insurance? What did I have to lose? I went to Rainbow Grocery and piled up my cart with lung tinctures, wellness pills, mullein leaf, etc. And I told myself, I need to use these alternatives as vigilant as I was taking the drugs the doctors were prescribing me. Traditional herbalists often recommend Mullein leaf tea or extracts to soothe irritated mucous membranes during bouts of asthma, bronchitis, or the common cold. The leaves are anti-inflammatory, expectorant and moistening; helping to thin excess phlegm in the lungs. Mullein has been a favorite remedy used by traditional herbalists and Native American cultures for centuries. This common weed is one of the world's best lung allies. I have been on the Mullein Herbal Infusion hype for the last couple weeks. A cup in the morning and a cup at night. I breathe easier, my wheezing calmed down. So now, I personally swear by it! But, don't just take my word for it, try it and see. FYI this recipe includes organic or raw whole milk. I know some people can't do dairy… just figure out a way to infuse that works for you. I've been told that milk produces mucus and to stay away from dairy. But I have been using organic/or raw milk to make this infusion and warming it up. And, I think it makes a huge difference. Susun Weed writes, "Organic whole milk has been considered the optimum food for mending and protecting the lungs for thousands of years..."
I also recently found out by going to Azure Sky Chiropractic that specializes in Neuro Emotional Technique (a mind-body technique used to clear negative emotions patterns or memories, which can cause a physical reaction or effect on our emotional or physical well-being) and uses some nutritional supplementation and traditional chiropractic techniques, that the root of my lung problems actually begins with my small intestine. But that's a story for another day. Fill the jar to the top with boiling water, cap tightly. Strain the mullein (use coffee filter because tiny hairs of the leaf can irritate your throat. I bought a reusable one) in the morning. After, heat a half cup of organic whole milk (I use organic Strauss milk... it def makes a different what kind of milk you use... you never know what kind of junk cows are being fed) with a half cup of the mullein infusion and add honey. You can also drink it cold, but I like it hot. And then save the leftover tea in the fridge for the next few days!